VRDBC is dedicated to sharing the benefits of sport equally with our community, regardless of age and ability. Through rowing and paddling sports, we strive to encourage participation, personal challenge and the pursuit of excellence from grass roots to the Olympic and Paralympic podium. VRDBC broadens access to sport by offering programs and events that encourage broad participation. It is hoped that by encouraging participation, personal challenge and the pursuit of excellence, we will foster healthier and happier individuals,and a stronger community. ﻿Vernon Rowing and Dragon Boat Club is a registered non-profit society. Offering the largest rowing program in the Interior and well established dragon boat programs we are proud to be offering sport to all ages and abilities. Since 1997 GO Rowing & Paddling Association of Canada (GO) provided all equipment and operated community based rowing and paddling programs and events in Vernon at Swan Lake. GO was a non-profit Amateur Athletic Association, and registered charity, dedicated to sharing the benefits of sport with Canadians of all ages and athletic abilities. Concentrating on rowing & paddling sports, GO encouraged participation, personal challenge and the pursuit of excellence from the grass-roots to the Olympic podium. GO provided access to sport by offering programs that encouraged broad participation, by producing dynamic community events and by developing new and expanded facilities. In 2014, GO donated all equipment including rowing shells, dragon boats, coach boats, docks and more to the newly formed Vernon Rowing and Dragon Boat Club, to continue to share the benefits of rowing and paddling sports in Vernon. 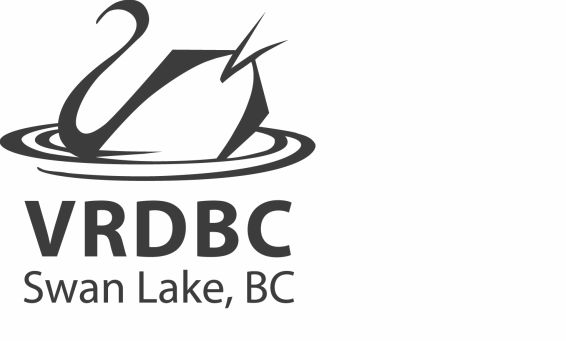 Individuals who have paid a full season fee of $150 + tax will be classed as a member of VRDBC, providing they have fulfilled the conditions of membership. Current VRDBC members are eligible to place a single vote at the club’s AGM. Paying the full season fee for the current year. Membership period is April 1- March 31. Signing a VRDBC waiver for the current year. Registration with Rowing Canada Aviron (active rowing participants).